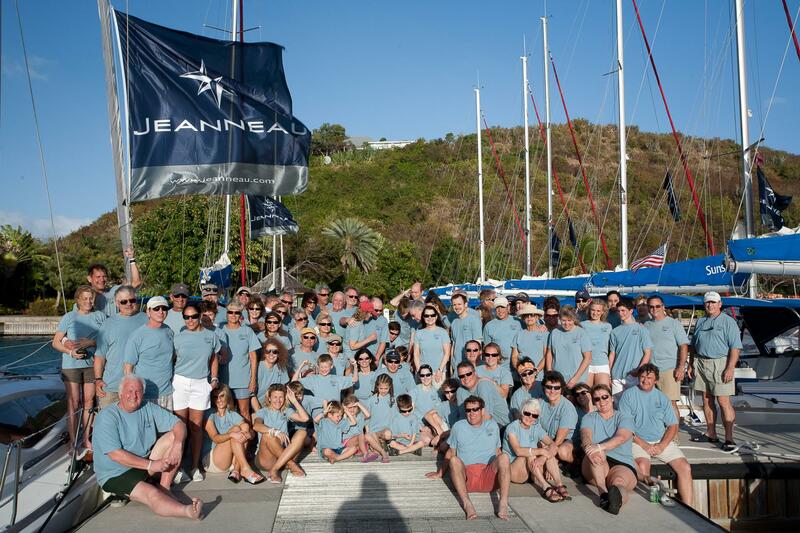 About 120 Jeanneau owners and their guests are currently underway and enjoying themselves on a week-long cruise through the British Virgin Islands. The event was organized by Jeanneau America in conjunction with Sunsail Sailing Vacations to provide Jeanneau owners the opportunity to sail with fellow owners in an area other than their home waters. The rendezvous, now in its third day has attracted Jeanneau sailors from throughout North America including British Columbia, Ontario, and Quebec Canada as well as from Vermont, Maryland, New York, Texas, Rhode Island, Michigan, Florida, California, Illinois and Virginia. 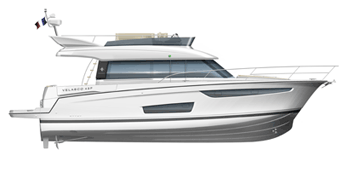 Sunsail, who offers the largest fleet of Jeanneau charter boats in the Virgin Islands, provided just over 20 boats for the event with other boats coming from a few smaller charter companies and from local owners who sailed their boats to the Caribbean last Fall. So far, the lucky group of sailors have made stops at The Peter Island Resort on Peter Islands and at the Bitter End Yacht Club on Virgin Gorda where they have been enjoying the best of all that the Caribbean has to offer.